Anyone involved in Neighbourhood Planning is welcome to join the Leicestershire Neighbourhood Planning Network. 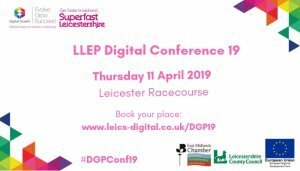 Hosted by Leicestershire County Council, two networking events are held each year which are specifically designed to facilitate the sharing of experiences and best practice – what works, what doesn't and lessons learnt. Events cover a variety of topics and include guest speakers. A key part is the opportunity to network with others groups on various stages of the neighbourhood planning process. Inspired by His Royal Highness The Prince of Wales in 2001, Pub is The Hub operates as a 'not-for-profit' organisation dedicated to improving community services and activities. They offer advice and support to communities who are looking to relocate, re-open or introduce vital services and activities in their local pub, as well as to communities considering the options for acquiring their local pub and the range of responsibilities involved. They facilitate projects by encouraging and helping communities, pub licensees and other interested parties to connect and share their experiences and work together to support and sustain their local services. They also try to help source local funding opportunities for projects. Visit their website and have a look at the leaflet to find out more information and for contact details. See our action-packed agenda here - we will have a series of presentations from digital practitioners sharing with you the tips and tricks you need to look out for this year. The Prince's Countryside Fund is open for grant applications until February 21st 2019. Are you missing out on overseas sales because you don't know whether there is a demand for what you have to offer? Or perhaps you just don't know where in the world to start? This invaluable workshop will give you all the information you need to understand the potential for your company overseas. Of the 2.5 million businesses registered in the UK, an estimated 360,000 who have an exportable product or service mistakenly believe there isn't a global demand for it. That's why we are offering this free workshop to help you investigate where in the world you could be exporting to. 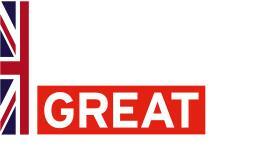 Our masterclass programme for 2018 - 2019 offers you a suite of intensive and lively workshop sessions designed to help you develop and enhance your export success using tried and tested marketing techniques. To view our full workshop listing, please click here. Click here to register your interest in attending this free masterclass today. Please note that our workshops are only available to companies from the East Midlands region, and that your place is not guaranteed until you receive confirmation from us. See the attached bulletin for an up-to-date list of current grants and funding opportunities primarily for Voluntary & Community Sector Groups and Organisations, Charities and Social Enterprises. 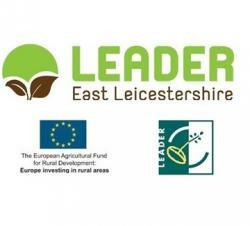 Are you a local food producer or drinks manufacturer? Have you ever travelled through an airport in a far-flung destination and wondered how they got hold of the produce they serve? Do you think your food and drink would be well received by hungry and thirsty air passengers? This event will help you understand what opportunities there are for local businesses to get onto the supply chain of this global company who stock airports across the world. At East Midlands Airport, we pride ourselves in stocking local produce; whether it's locally distilled gin in our new bar Proof 65 or meat from local butchers. All delegates must bring their passport with them, as the event will be held airside. 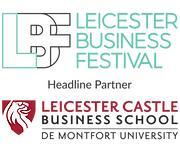 As part of the Leicester Business Festival, How healthy are you and your business? is a FREE event and is your opportunity to hear from a panel of experts on topics aimed at maintaining the health of your farming business (and the health of the farmer as well!). Delegates will receive updates on the latest changes and tips on how to improve their business going forward. Please see attached for the full programme. Registration is essential.